In my previous posts, I have talked about my penchant for tea tree products. I use tea tree to lighten blemishes, soothe my scalp, scrub my feet, even to relieve insect bites. 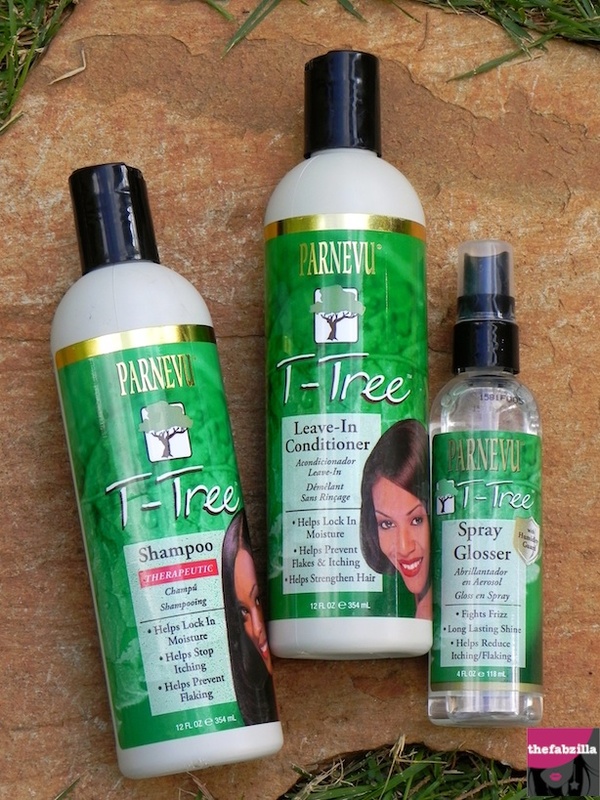 I had the chance to try some tea tree hair products from Parnevu. The timing couldn’t be more perfect. While I swear by organix macadamia styling oil’s amazing results on my hair, the shampoo and conditioner combo didn’t address my flaky hairline. Nope, it’s not dandruff, it’s not even itchy. Partly, I attribute these snowflakes to frequent hot showers. Can Parnevu T-Tree solve the situation? 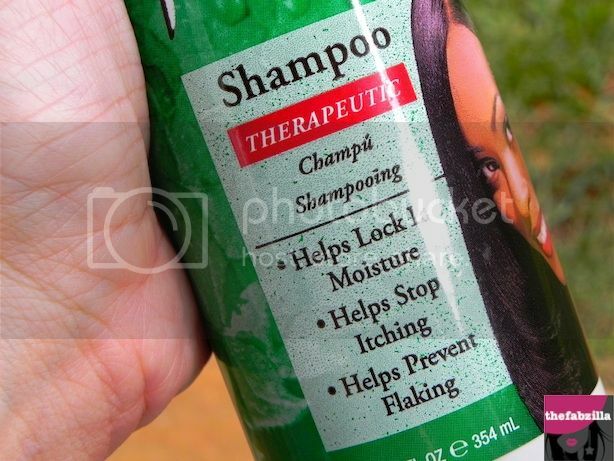 Product claims: helps lock in moisture; helps stop itching; helps prevent flaking. 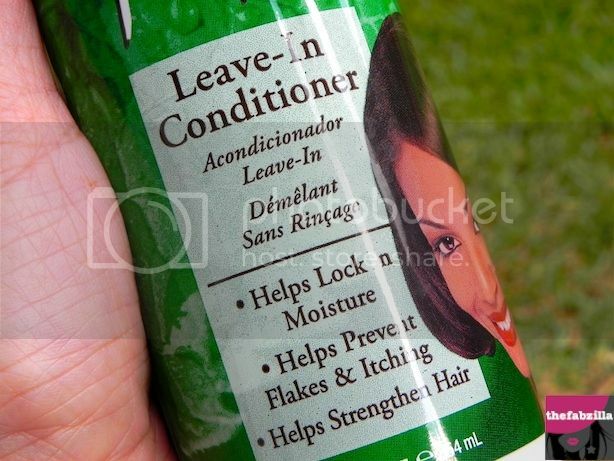 Product claims: helps lock-in moisture; helps prevent flakes and itching; helps strengthen hair. Ingredients: Water, Mineral Oil, Behentrimnium Methosulfate, Stearalkonium Chloride, Tea Tree Leaf Oil, Cyclopentasiloxane, Menthol, Camphor, Fragrance, Citic Acid, Phenoxyethanol, DMDM Hydantoin. Hair vital stats. Waist-length, naturally wavy, dry, tangled, sometimes with flaky hairline, most of the time in messy bun, wash every other day, dry shampoo when I feel like it, hair color or root touch ups every 3 months, 1-2 inch trimming every 3 months, hot oil only when I remember. In a nutshell, my mane’s pretty much low maintenance. Hair routine using Parnevu T-Tree. I wash my hair and massage the roots and tips with shampoo, rinse, condition, leave for 5 minutes, rinse again. Towel up, spray glosser, brush hair, air-dry. Again, nothing smancshy fancy. The verdict. My nit-picky nose is not a fan of the shampoo’s fragrance. It’s not awful but the scent needs to amp up so it correlates to the proverbial fresh & clean feeling. However, I am more than glad that this shampoo addressed my snowy dilemma. Hairline flakes are gone momma! I enjoy the minty feel of the conditioner while I massage my scalp and hair ! I have also used this as leave-in but it weighed my hair down so I prefer the traditional way (after shampoo then rinse). 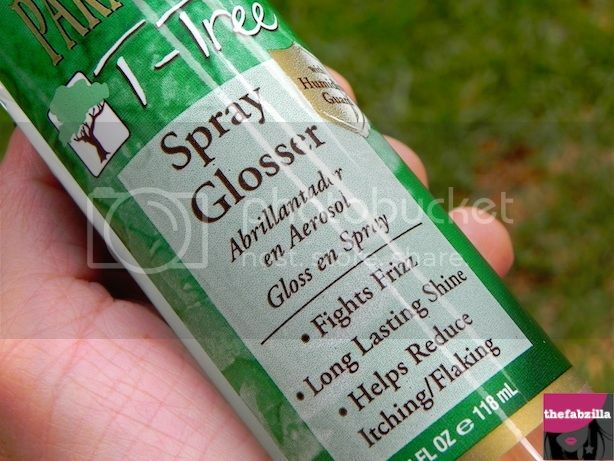 My favorite among the three is the spray glosser. I like to spray my hair with it in the morning or in-between washings. It makes my hair soft and manageable. I didn’t notice significant shine but it definitely made detangling a lot easier. Overall, if you are looking for an affordable tea tree brand to address flaky scalp, keep Parnevu in mind. I can’t evaluate its promise of hair strength because I have no issues with breakage. Unless I tie my hair to a Fedex truck and pull it with teeth clenched, then it’s a whole different story! Now you’re laughing. UPDATE 10/16/2012 ~ GIVEAWAY!!!!! WIN ALL 3 PRODUCTS I REVIEWED ABOVE. Parnevu has partnered with TheFabZilla for this awesome giveaway. Before entering, make sure you that you read and understand TheFabZilla’s guidelines here. OPEN to USA residents only, strictly no PO Boxes (Parnevu’s rule beauties!). Runs 10/16 to 10/30 2012. Once I validated the winning entry, your email addy will be forwarded to Parnevu; they will contact you directly for the shipping info. Good luck and wait for the Rafflecopter widget to load. Interesting review! I'm glad someone else has a picky nose. Not enough beauty bloggers address smells. I might check that product out if they have a smaller size to try. If I wash my hair too often it gets dried out but if I don't wash it enough it gets too oily and my scalp is itchy. But I am a low maintenance hair girl like you, so maybe tea tree oil is an ingredient I should start looking for. Wow, you are the perfect person to test out hair products. I envy your flowing mane. My hair only will grow so long, and quits! This sounds interesting, thanks for the info! I enjoy the thickness of my hair now if I could get it to grow as long as yours and been so pretty that would be awesome! I love how strong my hair is– And I do some damage to it too! I love what Tea Tree oil can do! I think this trio could really help me solve some of my hair problems. I entered the giveaway! I'm so glad you're not asking to do a blog post for entries, i feel so bad that i will make a blog post for a giveaway and but I won't make a regular post… lol. you don't need to know if your readers blog or not right?! haha. & to answer the giveaway question: i love that my hair is relatively healthy. it's flat though so ive been contemplating giving it more heat and damage in exchange for less boring =| not a good tradeoff but at least you can try to mitigate damage! I love the color of my hair!!!! It's really a great review and u sorta knock at my most concerned problem. I dont love my hair as they are dry and frizzy but i like that it has volume. My hair is really long as well and I love the texture of it. I love that my hair is silver. Hmm…it's actually a bit a love/hate thing. I know I'm lucky that my hair grows so fast and so well. It's thick and generally very healthy. But it drives me nuts because I don't like to get it cut very often, so growing fast isn't always a plus! I do like how thick it is, though. I like my natural curls & thickness of my hair. I've been using their hair oil, anti-breakage cream and the conditioner. My favorite of the bunch is the anti-breakage cream and oil.